At Kyle Parkway Dentistry, we do our best to get your dental health in peak condition. That being said, we know there are plenty of situations that can cause you to need more than just a regular cleaning and check-up. We know that some patients may feel nervous about getting a restorative treatment, but we make every effort to put you at ease and we also offer gentle sedation and anesthesia options to calm any nerves and help you feel comfortable. If your teeth have become decayed, damaged, or painful — or if you’ve lost one or more teeth — let us be your go-to for getting back to a healthy, confident smile. Cavities are a common dental issue for both children and adults. When you don’t treat tooth decay, it’ll start causing serious damage to your tooth and its nerves. If we notice you have a cavity, we can remove all the decay from the affected area and then “fill in” that space with a composite filling. 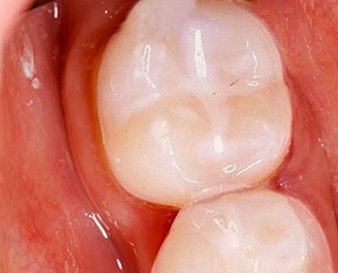 Composite fillings are also known as white fillings because they blend right in with the color of your tooth. Dental crowns may sound fancy, but they’re actually a common treatment used when a cavity is too large for a filling and to repair chipped or broken teeth. They have the double benefit of strengthening a tooth while also improving its appearance. 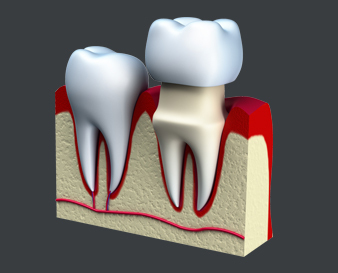 We also use dental crowns to hold dental bridges in place. 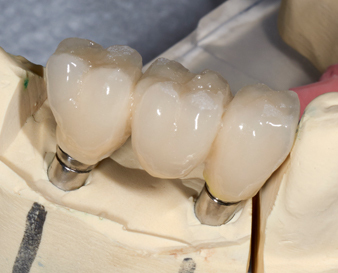 When designing and placing dental crowns, we always make sure that they look and feel great. Has a gap in your smile got you down? We can replace the space made by missing teeth with a custom dental bridge, which is a row of false teeth that we anchor to your natural teeth on either side of the gap. Not only will you be able to have a complete smile again, but a dental bridge also makes it easier to chew and prevents your other teeth from loosening or shifting. If you have a significant amount of teeth missing, we recommend getting a full or partial denture. With dentures in place, you’ll be able to go back to eating and speaking with greater ease. Not only that, but they can also prevent your facial muscles from sagging, which is a common occurrence when someone is missing teeth. 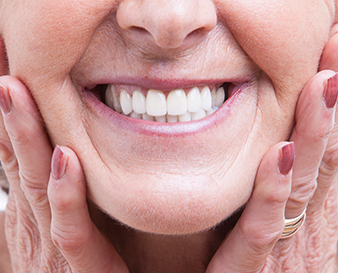 We take great care to make dentures that’ll give patients an attractive, natural-looking smile. When your wisdom teeth, or third set of molars, come in properly, then there’s nothing to worry about. The trouble is when they’re impacted (or only partially erupted), coming in at an angle, or causing crowding with your other teeth. In those situations, we recommend wisdom teeth removal to prevent you from having to deal with future dental issues. With any type of oral surgery, we have anesthesia and sedation available to keep the procedure pain-free. A root canal is a dreaded phrase to some people, but we want to reassure you that there’s nothing for you to fear. If you’re in the positioning of needing a root canal, chances are you’re already experiencing a lot of pain because of the advanced tooth decay. 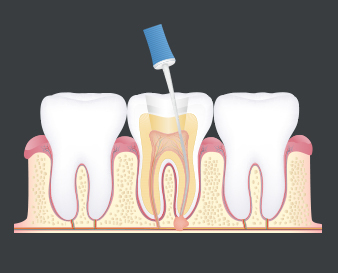 We perform root canal therapy to help relieve your pain and save your teeth from being lost for good. We perform this standard, safe procedure using the necessary anesthesia and sedation so you are kept comfortable the entire time. 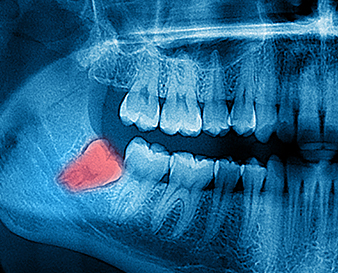 When a tooth is so severely damaged that repairs are not possible, the tooth will need extraction. Tooth extraction involves removing the entire tooth from the socket. This procedure is known as a simple tooth extraction. An instrument called an elevator is used to loosen the tooth. Said to be the most revolutionary advancement in dentistry, dental implants provide a way for adults to replace their teeth permanently. Tooth replacement options have been around for centuries, but in just the last twenty years dental implants have been able to provide patients with a fully functional, natural looking and beautiful option.